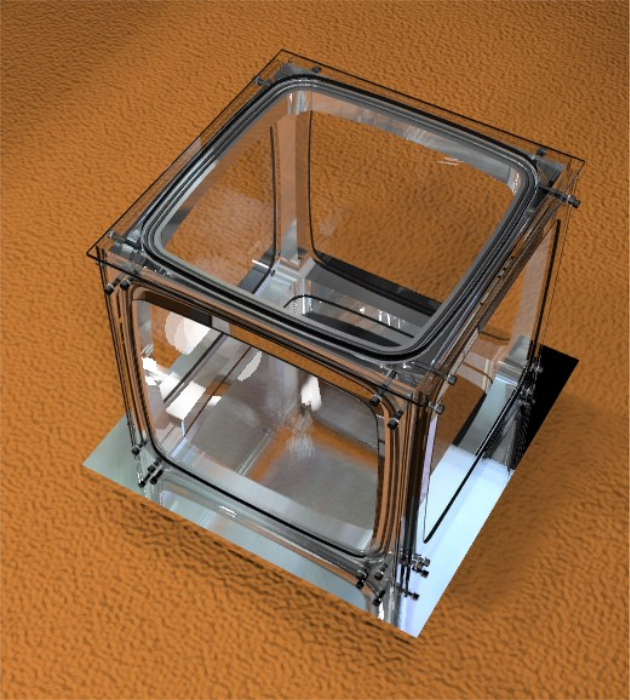 Based on Dr. J. Lilensten’s bell-jar design and as part of the Planeterrella European network, a revised design of a Planeterrella has been built in-house at Aalto University, consisting in a uniquely designed single-structure glass-aluminium vacuum chamber of cubic shape. 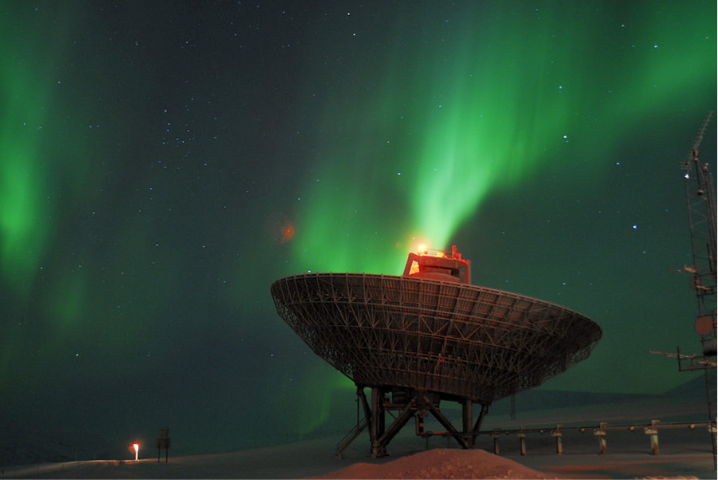 With code name Terrella Cubica, the aim is to support space physics teaching at the Aalto University's School of Electrical Engineering, by demonstrating plasma phenomena (auroral ovals, ring currents, etc.) usually only witnessed by instruments onboard space missions (Fig. 1). 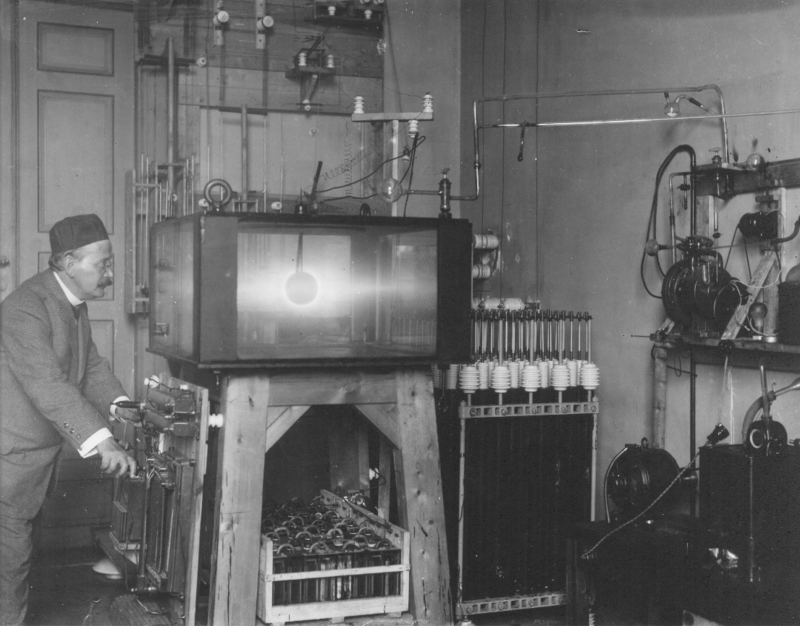 In 1902, the Norwegian physicist Kristian Birkeland started in Christiania (Oslo) a series of vacuum experiments to reproduce in the laboratory the auroral mechanisms he had theorised: he called them Terrella, "little Earth", in honour of W. Gilbert's magnetism experiments (Fig. 2). 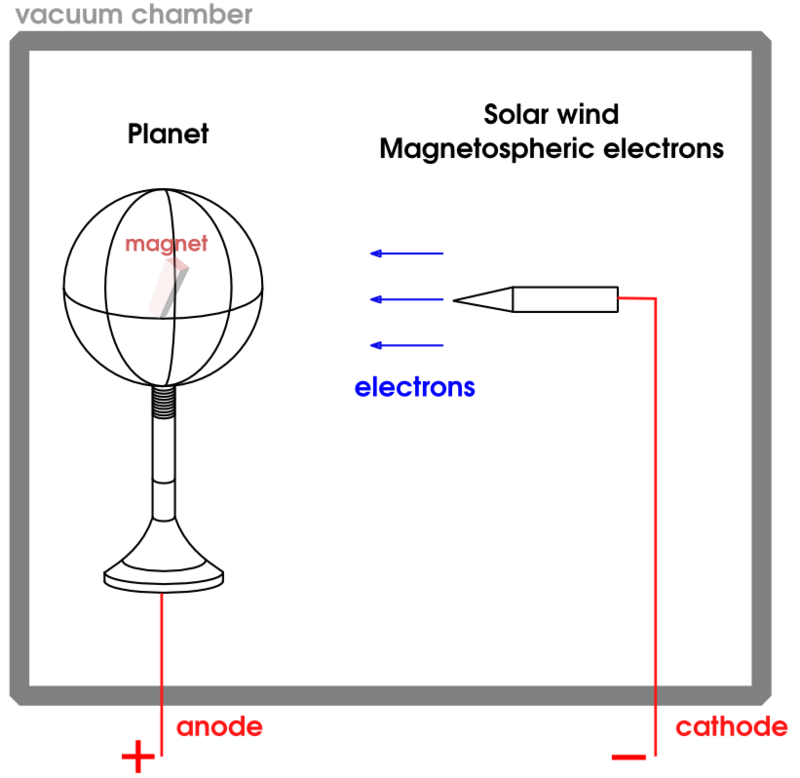 When these spheres are placed in a partial vacuum, an electric discharge is introduced between the anode and cathode, simulating electrons precipitating along magnetic field lines in the rarefied gas, hence creating auroral ovals in the Southern and Northern hemispheres (Fig. 3). First created at Grenoble University (France), the modern Planeterrella experiment has since been remade 17 times in universities in Europe and the US. It draws from Birkeland's heritage with many practical modifications that make it portable and accessible to Universities and public institutions. 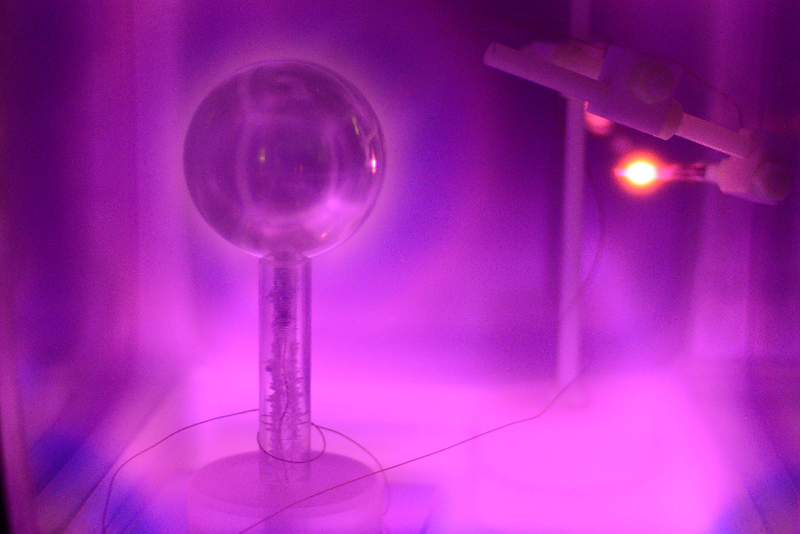 The main enhancement of the experiment is the use of several spheres to recreate Space Weather phenomena (Sun-planet or "exotic" star-exoplanet interactions). A typical experimental set-up is shown in Fig. 4 ("auroral ovals" mode). 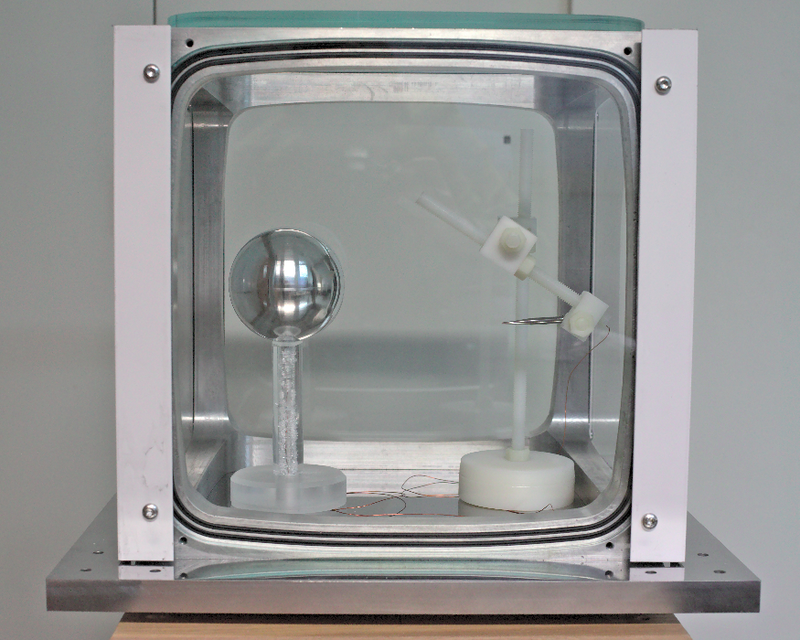 All vacuum chambers are bell-shaped and standardised (Fig. 5). The Planeterrella is organised as an international network bound by a Gentleman's agreement. Thanks to its success and several awards (EuroPlaNet, etc. ), it has been seen and discussed by more than 50,000 people across the network. Stemming from the original cubic-shaped plasma chamber of Birkeland, we have built at Aalto University a new prototype within the Planeterrella agreement, called Terrella Cubica (Fig. 6). The experiment has been entirely created on site at the University as a single aluminium structure. The small pieces (spheres, pedestals) as well as the base plate were created from off-the-shelf raw materials by machining and by 3-D printers. Neodymium magnets of 1 Tesla intensity are used in the current setup. 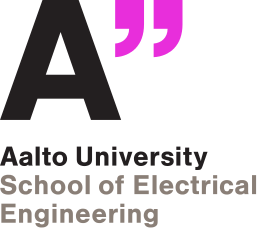 Tests are under way at Aalto University. The experiment will be used to demonstrate basic phenomena encountered in planetary space plasmas such as the Lorentz force, the Debye length, the formation of ring currents or of upper atmosphere VIS-UV emissions. Brundtland, T., The Laboratory Work of Professor Birkeland in The Auroral Observatory, Thesis University of Tromsø, 1997. Egeland, A., and J. Burke, Birkeland, the First Space Scientist, Astrophysics and Space Science Library, Vol. 325, Springer, Dordrecht, 2005. 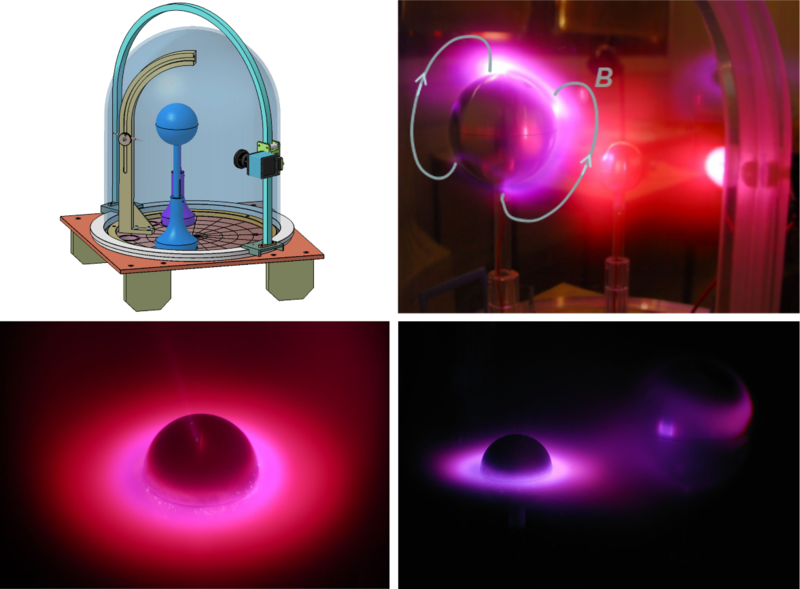 Gronoff, G., and C. Simon Wedlund, 2011, Auroral formation and plasma interaction between magnetized objects simulated with the Planeterrella, IEEE Trans. Plasma Science, 39, 2712. 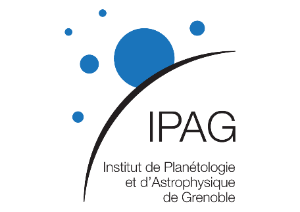 Lilensten, J., M. Barthélemy, C. Simon, P. Jeanjacquot, and G. Gronoff, 2009, The Planeterrella, a pedagogic experiment in planetology and plasma physics, Acta Geophysica, 57, 220. 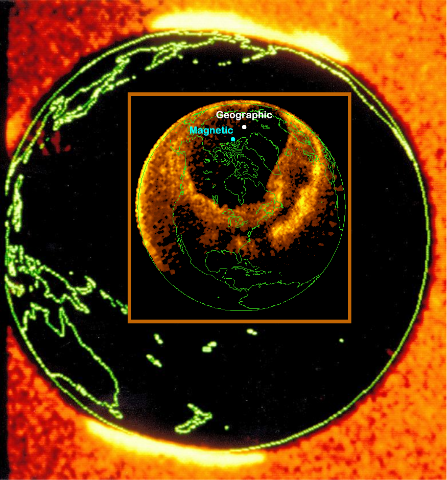 Lilensten, J., et al., 2013, The Planeterrella experiment: from individual initiative to networking, Journal of Space Weather and Space Climate, 3, AA07. Rypdal, K. and T. Brundtland. The Birkeland Terrella Experiments and their Importance for the Modern Synergy of Laboratory & Space Plasma Physics. J. Physique IV, 1997, 07 (C4), 113-132.